The attorney for a man accused of killing an elderly woman in her Farmington apartment said today that his client was intoxicated and did not know what he was doing during the attack. FARMINGTON — The attorney for a man accused of killing an elderly woman in her apartment last year said during his opening statement of the murder trial Monday morning that his client was intoxicated and did not know what he was doing during the attack. 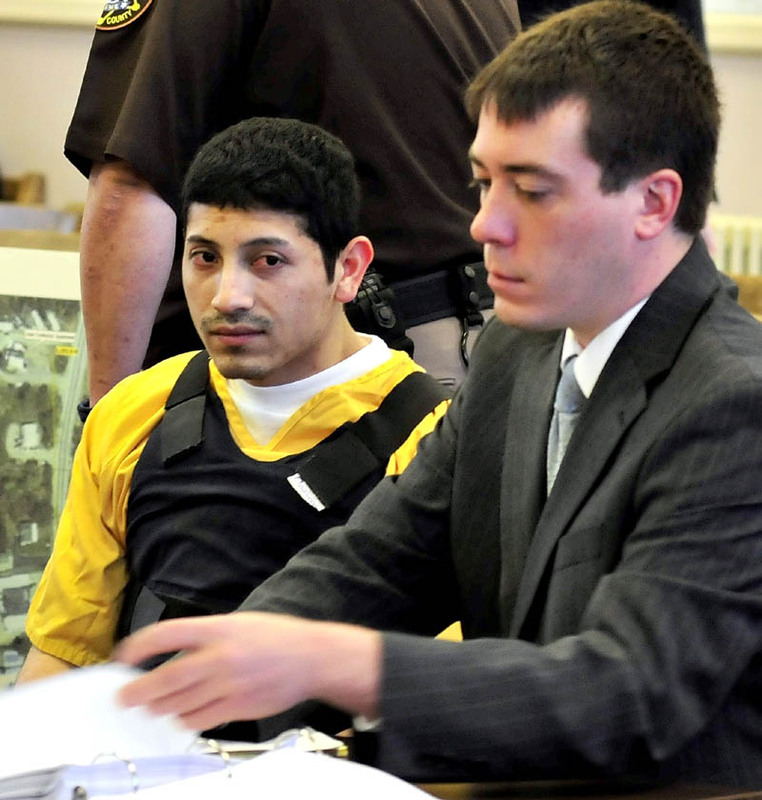 Juan Contreras, 27, of Waltham, Mass., is facing a murder charge in Franklin County Superior Court in the death of 81-year-old Grace Burton in June 2011. Staff photo by David Leaming Juan Contreras is led into Franklin County Superior Court in Farmington Monday, the first day of his trial in the stabbing death of Grace Burton. Staff photo by David Leaming Defendant Juan Contreras, left, with his attorney Chris Berrymint during the first day of Contreras trial in the stabbing death of Grace Burton on Monday in Franklin County Superior Court in Farmington. There was no intent, Berryment told Justice Michaela Murphy and no motive. Burton’s purse remained on the kitchen chair, her medications intact in the bathroom. 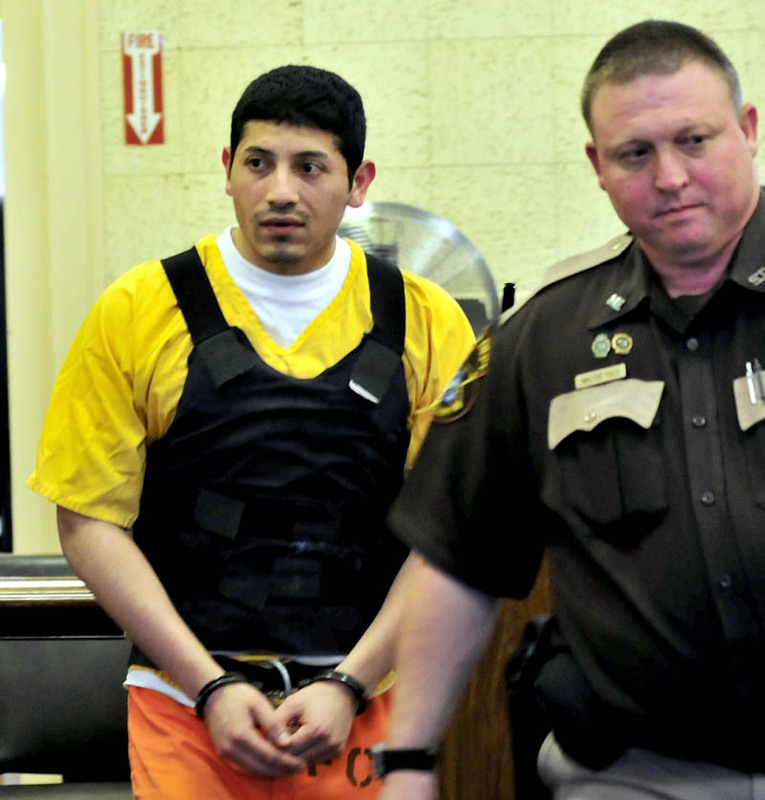 Contreras pleaded not guilty in January to the murder. He waived his right to a jury trial in Franklin County Superior Court. David Sanders, his other court-appointed attorney, said that holding a jury trial in Franklin County would have been impossible because of the amount of publicity the case had received. Burton was stabbed 35 times in her apartment June 21, 2011, but managed to call police and describe her attacker. 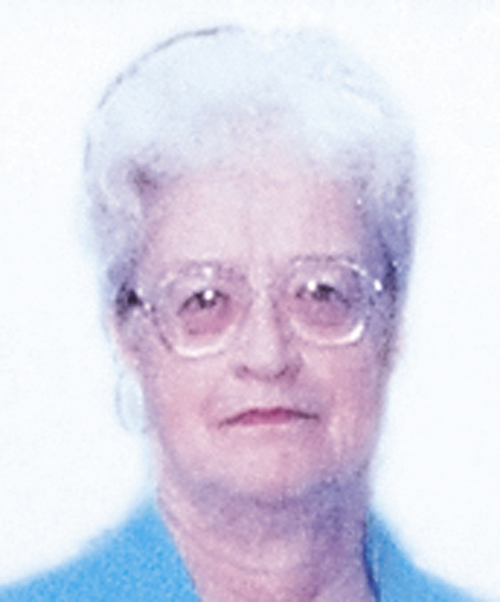 She died later that morning at Central Maine Medical Center in Lewiston. Police believe that the attacker cut a hole in the screen of an unlocked window to gain access. Police investigators say they have linked Contreras to the scene by matching his DNA to that of blood found there. Contreras voluntarily gave a DNA sample to investigators, who collected samples from hundreds of men with ties to the area. Farmington police Sgt. Michael Adcock, who met Contreras when at a bike accident a month after Burton’s murder, became suspicious after Contreras moved back to Massachusetts from the mobile home park on Pillsbury Lane near the apartment where Burton was killed. The murder charge carries a 25 years-to-life sentence.